Most leaders around the world rely on one, maybe two bodyguards to keep them safe. Even the President of the United States today has only one or two teams of security personnel; while there may be many men and women who take turns to protect their leader, the numbers are not as big as you would expect. We will look at the origins of a number of bodies, such as the Sturmabteilung or the SA, the Schutzstaffel (the SS) and the many other sub-sections of the SS such as the FBK, the LSSAH, etc., all of which were tasked with protecting Hitler. 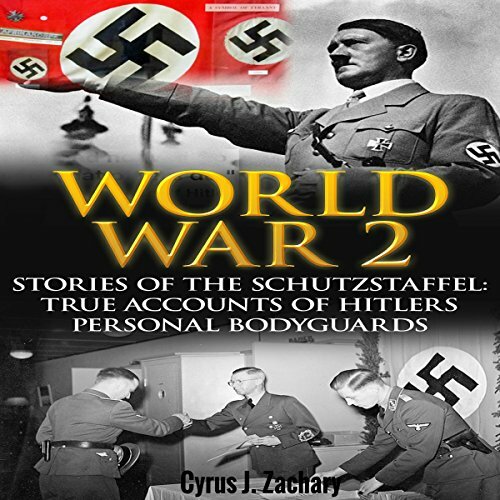 From the background, we will move on to individual accounts of men who served on these teams - they were Hitler's personal bodyguards and some stayed with him until the very end. Humanity's depraved nature came to the fore with these men; despite having a master who was truly mad and ravenous for blood, they served him loyally. Was it because they were also as depraved as he was? Or were they afraid for their lives and did what they had to, to survive? Maybe my expectations for a two dollar were too high. Sadly it was not worth the two dollars.